We take great pride in offering our reliable Certification Services to our clients. 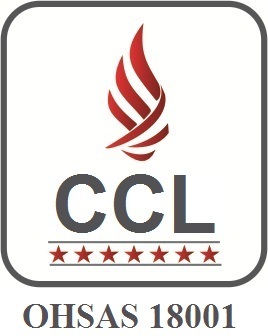 Our Certification Services are prompt and quick to avail. Our team of professionals is qualified and experienced in this field. They guide and assist the clients in the best possible ways in the various procedures and formalities involved in obtaining Quality Certifications. Our range of Certification Services includes ISO Certification and OHSAS 18001-2007 Certification. From 10th August 2009, the Saudi Arabia Customs Authorities made it mandatory to get Saudi Arabian Standard Organisation (SASO) certificate (referred to as "SASO Conformity Certificate) for importing goods to Saudi Arabia. 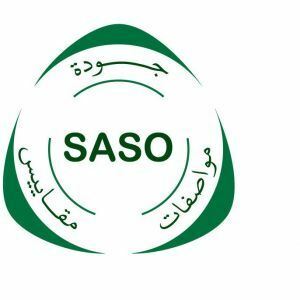 The acronym SASO stands for ‘Saudi Arabian Standards Organization’. A SASO COC (Certificate of Conformity) is a declaration of the conformity with the type approval of applicable SASO standard. The purpose of this document is to ensure the free movement of goods within Saudi Arabia. All products being exported to Saudi Arabia require a Certificate of Conformity also referred to as a SASO CoC to enable them to be cleared through Saudi Customs. India's major exports to Saudi Arab include basmati rice, textiles and garments and machinery. Saudi imports from India amounted to $7 billion or 2.7% of India's overall exports in the year 2015. CDG helps you through out all steps in getting SASO certificate of compliance. 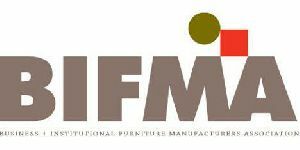 BIFMA - Business and Institutional Furnitures Manufacturers Association is an organisation which developes standards for institutional / office furnitures. BIFMA was founded in 1973. BIFMA's standards are recognised worldwide & these standards has been accepted & implemented by most of furniture gaints. Now BIFMA certification is accepted as parameter of furniture quality & safety worldwide. CDG is one of few organisations worldwide which provide BIFMA testing & compliance services for different ANSI/BIFMA standards. If you are willing to know more about BIFMA standard & it's aplicability on your product, you can contact us. CDG is a pioneer BIFMA certification company worldwide. BIFMA - Business and Institutional Furnitures Manufacturers Association is an organisation which developes standards for institutional / office furnitures. BIFMA was founded in 1973. BIFMA's standards are recognised worldwide & these standards has been accepted & implemented by most of furniture gaints. Now BIFMA certification is accepted as parameter of furniture quality & safety worldwide. CDG is one of few organisations worldwide which provide BIFMA testing & compliance services for different ANSI/BIFMA standards. If you are willing to know more about BIFMA standard & it's aplicability on your product, you can contact us. SEDEX - Suppliers Ethical Database Exchange is an association started by global organisations & trade associations. The main function of SEDEX is to develope social standard & ethical practices for organisations worldwide. 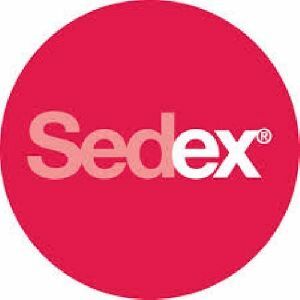 SEDEX audit covers requirements related to workers & working conditions. This also includes requirements of ILO (International labour organisation) & other labour associations. After SEDEX audit your SEDEX audit findings / reuslt is uploaded on SEDEX website. This audit report can be accessed by members of SEDEX or any other party whome you want to provides access. SEDEX audit is system which decreases number of buyers audit in your organisation. CDG is the most trusted name worldwide for SEDEX compliance. Sedex Members Ethical Trade Audit (SMETA) is an audit procedure which is a compilation of good practice in ethical audit technique. There are two types of SMETA Audit: SMETA 2 Pillar Audit & SMETA 4 Pillar Audit. CDG conducts SMETA audit which includes some or all of labour standards, health & safety, environment & business ethics. We use SMETA best practice version 6.0 (published in April 2017) to conduct audit of our clients. Physical Security - Information Technology. C-TPAT is a voluntry standard for supply chain security management. CDG helps companies outside geographical boundries of USA to comply with requirements of C-TPAT (Custom Trade Partnership Against Terrorism). CDG is the biggest player in C-TPAT certification in India & neighbouring countries. The Customs-Trade Partnership Against Terrorism (C-TPAT) is a supply chain security program led by U.S. Customs and Border Protection focused on improving the security of private companies' supply chains with respect to terrorism. This initiative was launched to assist the trading community in the war against Terrorism. 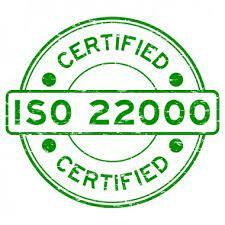 Our services can be availed for obtaining ISO Certification. The ISO Certification services are carried out by a team of experienced professionals who are proficient with the aspects and regulations. Our ISO Certification services are cost effective. The ISO Certification services that we offer includes ISO 9001:2008 Certification, ISO 13485:2003 Certification, ISO 14001:2004 Certification and ISO 20000:20011 Certification to mention a few.